This is an application implemented in C# that runs in Autocad environment. 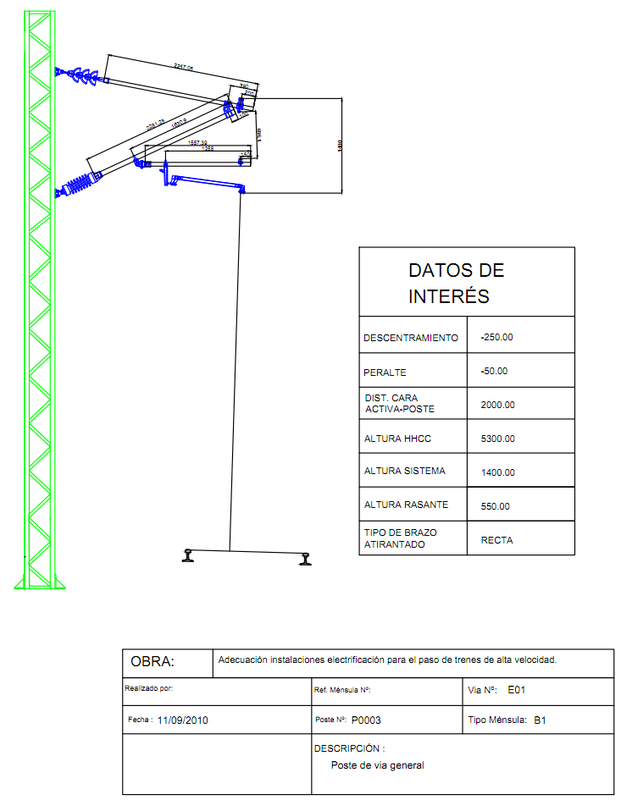 The application reads the topological data from excel page, it calculates all geometric cantilever data, and finally it generates automatically the CAD file and the PDF file in less than 1 second. Calculate the geometric cantilever parameters and draw these results into a CAD file is an expensive and time consuming tasks. The goal of this application is to automate these tasks and jump from topological parameters to a CAD file without human intervention. It can be in DWG, PDF, JPG or PNG format.